Allie was found as a stray and taken to the Terrell Animal Shelter the end of February 2008. 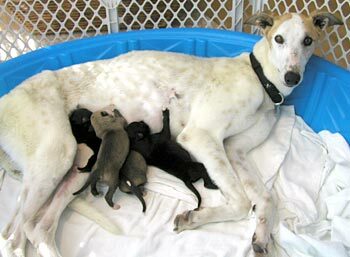 It was there that she gave birth to 6 puppies on March 5; 2 puppies did not make it, but 4 survived - 2 males and 2 females. 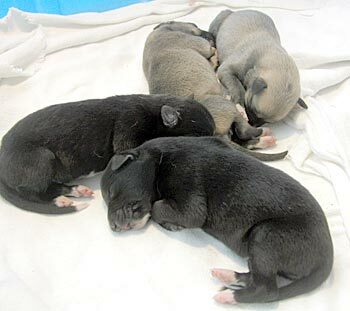 The puppies are one black female, one fawn female, one black male, and one fawn male. 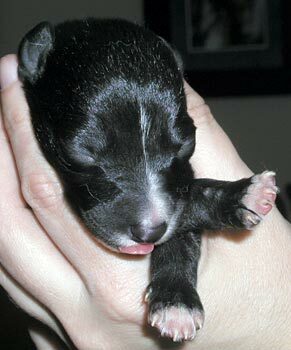 So stay tuned for GALT's Puppy Patrol updates! 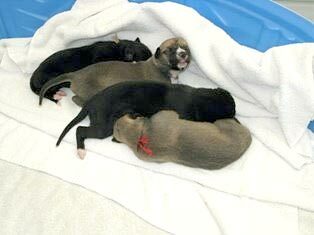 When Allie came down with 105 temperature on March 13, Dr. Christy Soileau made the decision to remove the four nursing puppies from her. 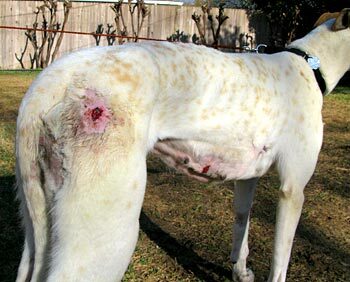 Allie has developed severe mastitis with an ulcerated area rupturing along her right mammary chain area. 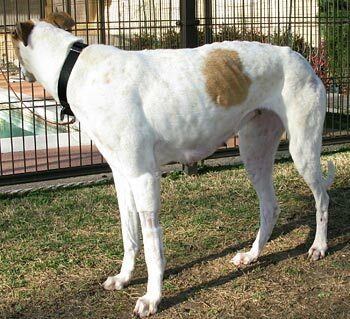 Her right rear leg is also severely swollen and an ulcerated area has also opened on her right hip area. Allie is receiving antibiotics by mouth and also intravenously to treat her acute infection in her body, and is being monitored closely by Dr. Soileau and her foster mom. 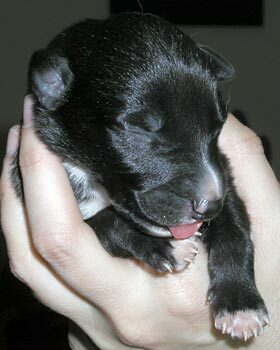 The orphan puppies are being vigilantly cared for in a foster home where they are being bottle fed every 4 to 6 hours. 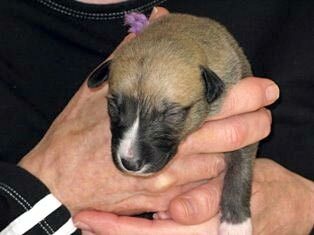 GALT's Luck of the Irish – The Puppy Clan! 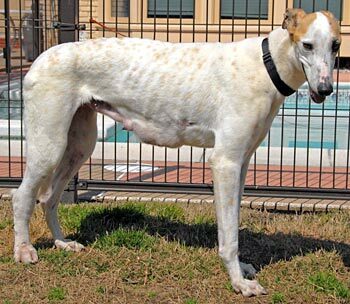 GALT has found its four leaf clover and welcomes Paddy (black boy), Quinn (fawn boy), Fiona (black girl), and Erin (fawn girl) into their Greyt family! 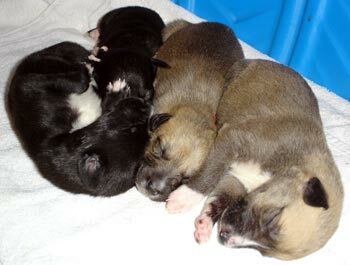 Just wanted to give you an update on our Irish clan, Paddy, Quinn, Fiona, and Erin. 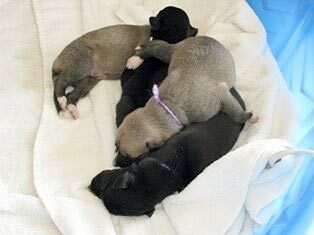 Everyone made a trip to VCA Preston Park Animal Hospital for a weigh-in and a visit this morning. 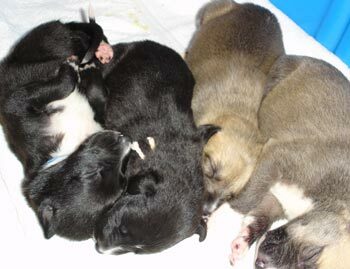 All are thriving and gaining weight at a rapid rate. 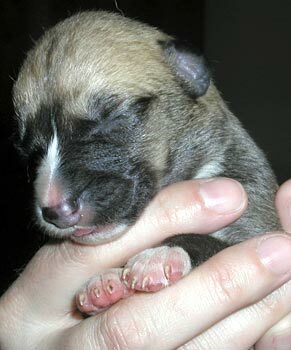 They were weighed last Thursday; Paddy was 1.2 now 1.6, Quinn was 1.0 now 1.6, Fiona was 0.9 now 1.3, and Erin was 1.0 now 1.7. All have taken to the bottle and are voracious eaters! The kids are starting to get up on all four legs to totter about, they just have a hard time getting all legs going in the same direction in a coordinated fashion. They take a few steps and roll over. Remember Weebles? Weebles wobble but they don't fall down; they're kinda like that. Their eyes and ears should start opening soon and a whole new world will open up to them then. Every day is an adventure...with the puppy clan. The Hudson Hyatt experienced a jail break today. The incident occurred around 8:00 am this morning. The break was masterminded by Quinn, aka "Spuds Mackenzie," soon followed by sister Erin and brother Paddy; sister Fiona was the lookout. When Quinn "Spuds" was later questioned, his reply was "I was in search of a fix" - a "milk fix," that is, searching for the open "milk bar." We all know that these dependencies can occur at a very young age. All is well after enabler "Ma" turned on the open sign to the milk bar so The Clan could indulge in their morning "fix," milk fix, that is. The Hudson Hyatt is now in lockdown mode and will continue to monitor the situation. Stay tuned for further reports. 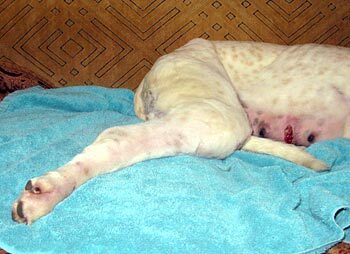 Allie's infections are getting better from the regime of several antibiotics, given both orally and intravenously. 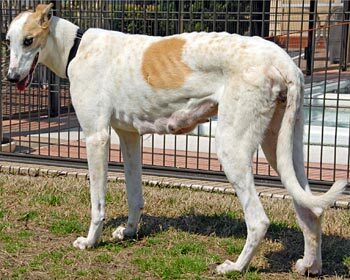 The swelling in her leg has gone down a lot, and it is evident that she is feeling better day by day. 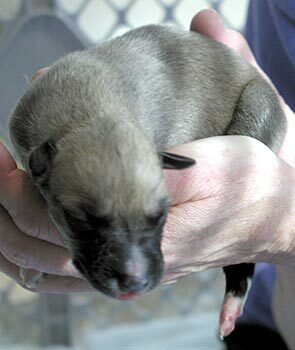 Little Fiona took flight on Thursday, March 27, just 3 weeks and 1 day after she came into this world. Fiona was the littlest of the Clan, and looking back, it seems she was destined to be the one with wings, for reasons that none of us can understand. Dr. Soileau and Dr. Ellis both believe it was a congenital defect, and as hard as they tried, it could not be fixed. 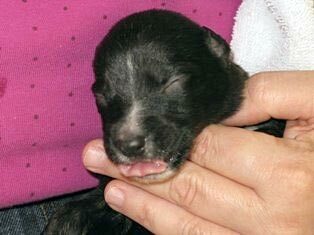 This little girl has left huge pawprints on the hearts of those who knew her, especially those in her foster family and extended family. Run and play, sweet baby Fiona – you are missed and will never be forgotten.